Recent years have shown an increasing shift from traditional card payments to digital payments. A continually growing number of people use mobile phones, wearables, online and in-app payments daily to pay for goods and services. With the huge growth in digital payments, it is essential to have a secure and seamless user experience across device channel and solutions. At the same time, new opportunities for consumers, banks and merchants are introduced and new business models and capabilities enter. 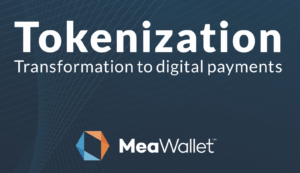 Click here to download MeaWallet’s eBook on tokenization, describing how tokenization is moving from v1.0 to v3.0 and what implications this brings to card issuers, merchants and consumers.